There’s no major changes in this week’s VSN Boys Basketball Top 20 poll as Mount St. Joseph is No. 1 for a second straight week. 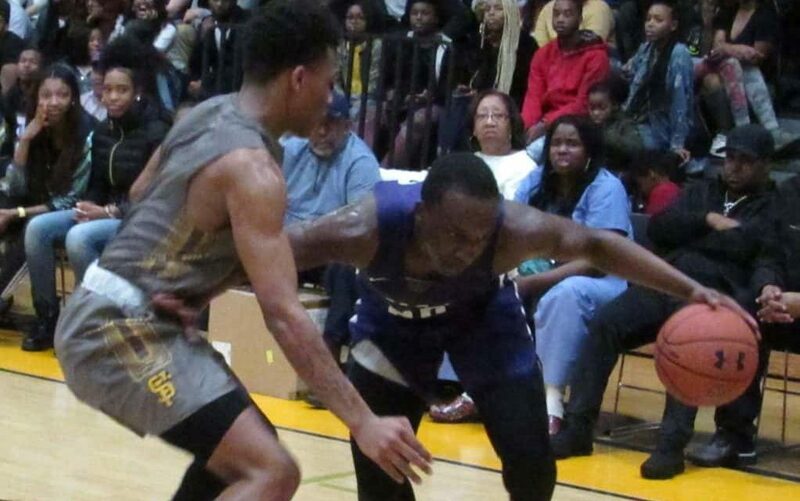 After an impressive showing at the Baltimore Hoops Festival Saturday, St. Frances holds steady at No. 2, followed by Poly, Patterson and Dulaney. Boys’ Latin School, New Town, Lake Clifton, Annapolis Area Christian School and McDonogh School rounds out the Top 10. Edmondson is the big mover this week, going from 17th to No. 13. Pictured above: Mount St. Joseph’s Antonio Hamiln (right) tries to drive past St. Frances’ Adrian Baldwin during the first half of their MIAA A Conference/Baltimore Catholic League basketball tilt a few weeks. The Gaels again have the No. 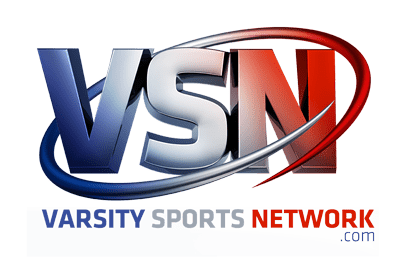 1 spot in this week’s VSN Boys Basketball Top 20. Last week: The Gaels defeated Archbishop Spalding, 72-57. Last week: The Panthers defeated Wilson (DC), 75-51, at the Baltimore Hoops Festival, and defeated No. 9 Annapolis Area Christian School, 73-58. Last week: The Engineers defeated ACCE, 70-30. Last week: The Clippers defeated Calvert Hall College, 93-67, at the Baltimore Hoops Festival, and defeated National Academy Foundation, 82-46. Last week: The Lions defeated Sparrows Point, 98-27. Last week: The Lakers defeated Florida’s Admiral Farragut Academy, 66-61, at the Baltimore Hoops Festival at St. Frances Academy, and defeated Calvert Hall College, 91-66. Last week: The Titans defeated John Carroll School, 79-65, and Carver A&T, 100-16. Last week: The Lakers defeated Forest Park, 78-51. Last week: The Eagles lost to No. 2 St. Frances Academy, 73-58. Last week: The Eagles defeated City College, 46-44, at the Baltimore Hoops Festival at St. Frances Academy, and defeated No. 15 Glenelg Country School, 45-30. Last week: The Dons defeated Mount Carmel, 58-30. Last week: The Lions defeated Tuscarora, 63-61. Last week: The Red Storm defeated then-No. 13 Gerstell Academy, 64-55, at the Baltimore Hoops Festival at St. Frances Academy, and defeated City College, 60-53. Last week: The Bruins defeated Southern, 55-37. Last week: The Dragons lost to No. 10 McDonogh School, 45-30. Last week: The Falcons lost to then-No. 17 Edmondson, 64-55, at the Baltimore Hoops Festival at St. Frances Academy, after defeating St. John’s Catholic Prep, 72-64. Last week: The Wildecats defeated Hammond, 81-58. Last week: The Raiders defeated Long Reach, 72-62. Last week: The Gators defeated Mount Hebron, 70-65. Last week: The Patriots defeated North County, 80-47. Last week: The Elks defeated Edgewood, 84-74.